From authors Pip Ballantine and Tee Morris, the award winning steampunk series continues. The chase is on! After rescuing Queen Victoria from the clutches of the Maestro, Agents Eliza D Braun and Wellington Books are in hot pursuit of Dr Henry Jekyll. While he continues his experiments on the aristocracy of Europe, he leaves a trail of chaos and despair in his wake. However when Eliza and Wellington run him to ground in India, they are forced to come face to face with ghosts from the past and the realities of the British Empire. Meanwhile Ministry agents Brandon Hill and Bruce Campbell travel deep into Russia hunting down a rare ingredient to save Queen Victoria’s life. 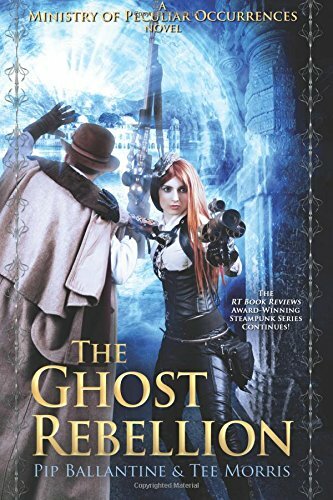 Within the darkness and bitter cold, they uncover a threat from a revitalized House of Usher that comes directly from their new Chairman. A threat that promises to plunge the world into chaos!